Oats are one of the most nutrient-dense foods on the planet. Originating from the wild red oat from Asia, oats are mostly grown in North America and Europe. Having been cultivated for over 2000 years it originally was used for medicinal purposes. Hippocrates said it right with "Let food be thy medicine and medicine be thy food". Whole oats are the only source of a unique group of antioxidants called Avenanthramides which have protective effects against heart disease. * High in fiber which helps in weight loss and lowers risks of colon cancer. *Athletic performance enhancer. Being a great source for carbohydrates and protein gives it a long lasting energy source. *Enhances immune response to disease because of its unique fiber called beta-glucan. B-glucan helps white blood cells get to the sites of infection and inflammation areas quickly. This helps in eliminating bacteria for quicker healing. *Rapidly digested starch (7%) which is quickly broken and absorbed as glucose (energy). *Slowly digested starch (22%)slowly broken down and absorbed (sustained energy). *Resistant starch (25%) which functions like fiber. It escapes digestion and improves gut health by feeding "friendly"gut bacteria. (For more info read the 5-part series on: Gut Health). 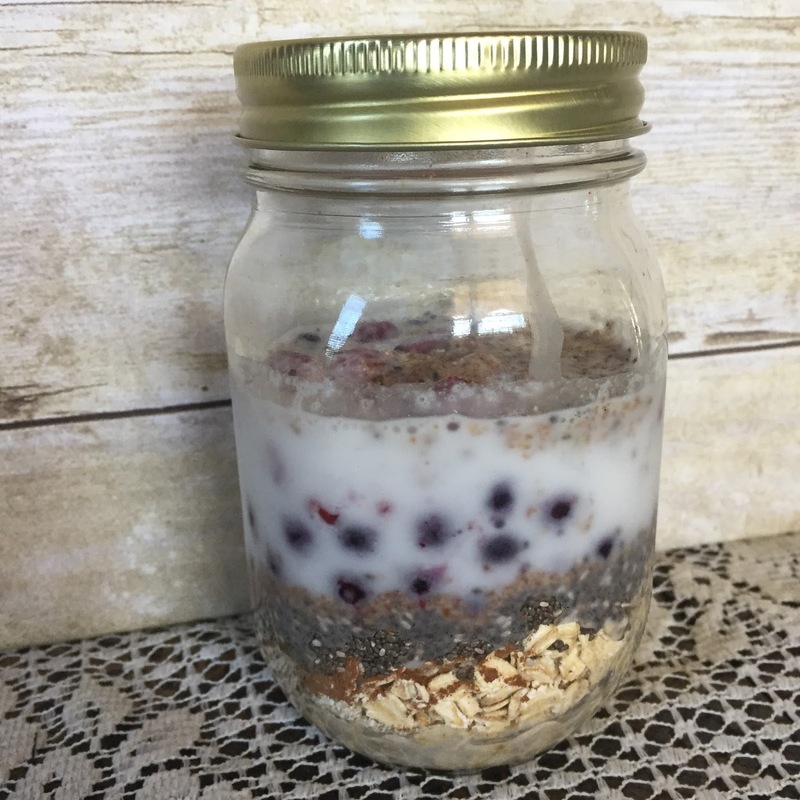 One of the quickest ways to enjoy oats in the morning are creating your own overnight oats recipe. By preparing the night before there is no excuse for not having a healthy breakfast ready to take "on the go". 1/2 cup organic rolled oats. 1 tbs each of ground flax and chia seeds. 1/4 cup frozen mixed blueberries and raspberries. Shake it all up and refrigerate overnight. Its ready to go the next morning.